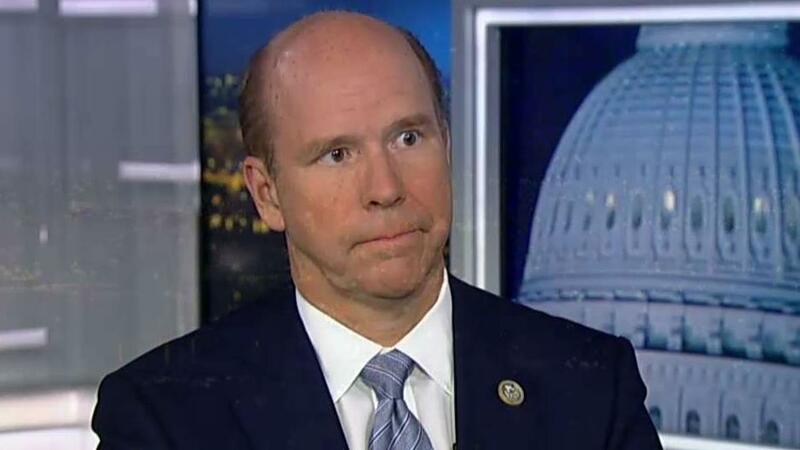 BEDFORD, N.H. – John Delaney’s not your typical 2020 Democratic presidential candidate. Speaking at a breakfast sponsored by the Christian Science Monitor, Brown also said he views expanding Medicare to Americans age 50 and older as a more workable step than moving directly to single-payer health care. But he took aim at the Green New Deal, the sweeping proposal that aims to transform the country’s economy to fight climate change — while enacting a host of new health care and welfare programs. Delaney’s stance puts him squarely at odds with many of his White House rivals. Seven senators either running for the Democratic presidential nomination or seriously weighing bids have signed on as co-sponsors to the Green New Deal, which was announced last week by freshman progressive rising star Rep. Alexandria Ocasio-Cortez of New York and veteran Sen. Ed Markey of Massachusetts. “I think we should use Medicare as a model without Medicare-for-all,” he added. HOW MUCH WOULD MEDICARE FOR ALL COST? And he called for presidents to go to the floor of the House of Representatives every three months to answer questions from members of Congress live on national TV. The 55-year-old Delaney was raised in northern New Jersey by working-class parents. He found success as a banking entrepreneur and is worth nearly $90 million, which made him one of the wealthiest members of the U.S. House during his three terms in Congress. Delaney’s appearance at “Politics and Eggs” came during a jam-packed three-day swing through New Hampshire, his 14th trip to the state since launching his campaign for president.